just choose the length you'd like. 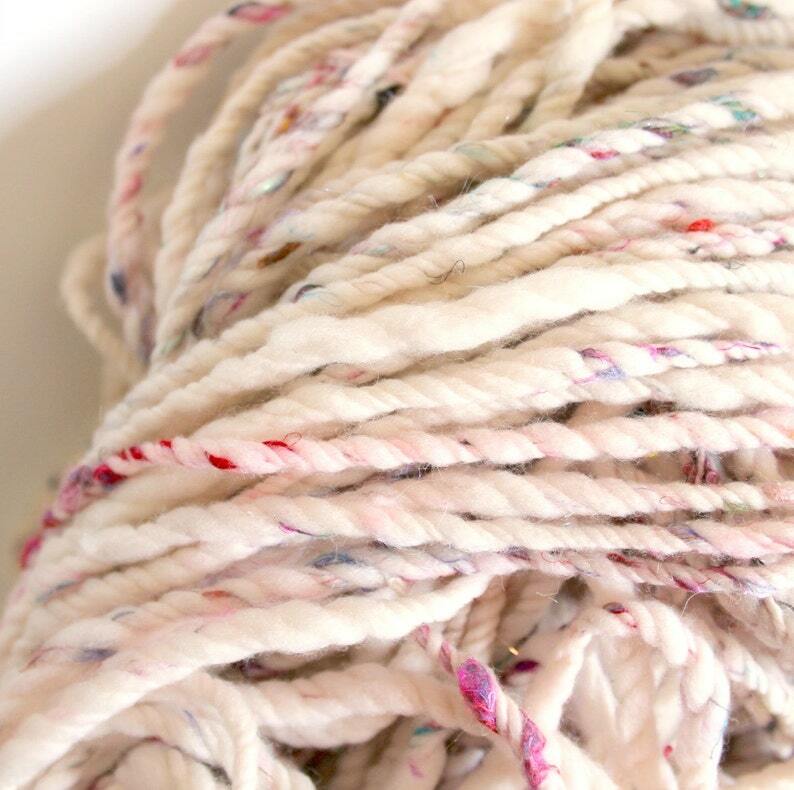 this yarn comes as a natural white wool with little sari silk threads which are the blobs of colour you see in the pics. then you can choose to have no sparkles added or a sparkle colour added from the drop down menu. if you'd like a sparkle colour not listed choose other and let me know. ** last 2 photos show this yarn in use. 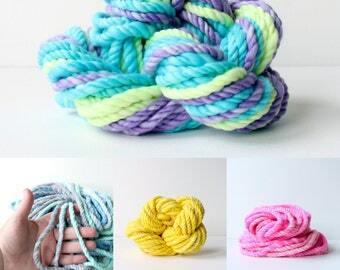 **photos are an example of this yarn. sari silk colours can vary and the sparkle you choose will also change how the yarn looks. this will knit larger than a bulky + weight. super soft 17.5 micron australian merino wool + fine sari silk. OPTIONAL choose no sparkle or a sparkle colour to add to the mix.